James Denholm Van Trump was born on July 20, 1908 to Coleman Van Trump and Jeanne Denholm Van Trump on Thomas Boulevard in Point Breeze, Pittsburgh. When he was 8 years old, the Van Trumps moved to Philadelphia, returning to Pittsburgh in 1921. Van Trump enrolled at Carnegie Tech (now CMU) in 1926, and in 1927 transferred to the University of Pittsburgh. He graduated with majors in English literature and fine arts (1931), and went on to receive his M.A. from the University of Pittsburgh in 1932. After his official schooling, Van Trump continued to study the history and architecture of Pittsburgh, working as an architectural historian for a museum-extension project, a bookstore clerk, and with the War Production Board during the Second World War. In 1956, Van Trump published his first scholarly article in The Charette, “Pittsburgh’s Church of the Ascension.” He continued to write for The Charette (serving as editor), and also published in Carnegie Magazine, Western Pennsylvania Historical Magazine, and The Pittsburgher. In 1964, in conjunction with Arthur Ziegler, he formed Van Trump, Ziegler, & Shane—a firm that provided advertising, public relations, publishing, and historic preservation services (dissolved 1973). James Van Trump co-founded the Pittsburgh History & Landmarks Foundation with Ziegler in 1964, quickly becoming one of the most influential and well-known architectural historians in the Pittsburgh region. 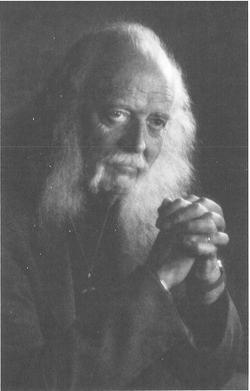 James D. Van Trump continued to serve as PHLF’s Architectural Historian until his retirement (due to injuries sustained in a car accident) in 1978, although he remained active in the historical field until his death, writing, publishing and continuing to speak on Pittsburgh regional radio. Van Trump died at Shadyside Hospital (UPMC) on July 6, 1995—he was nearly 87 years old. Throughout his life, James D. Van Trump was both influential and prolific, publishing, among many other works, over 500 articles, 3 books, monographs, television and radio scripts, and speeches.